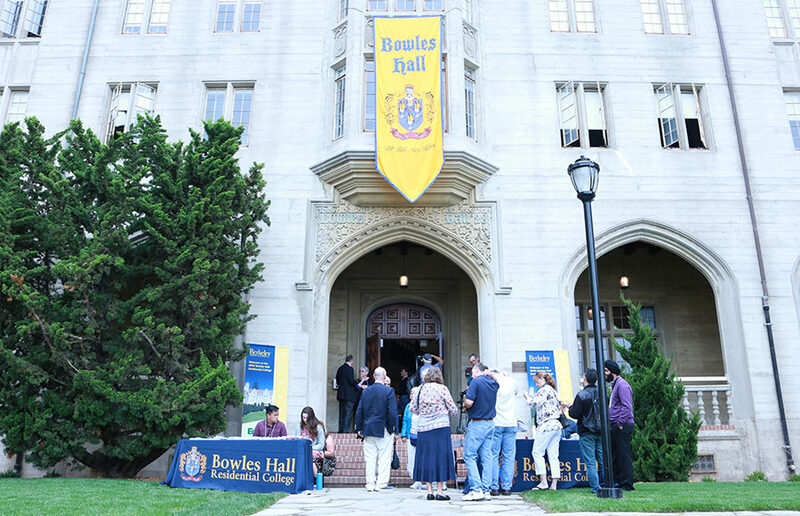 Bowles Hall reopened this year as a privately-operated, coed residential college, culminating an 11-year effort to revitalize the stately manor that has further stratified the array of housing options available to UC Berkeley undergraduates. The result of a $45 million project spearheaded by alumni, Bowles Hall is now a residential college housing 183 undergraduate students who will live, study and dine together for their entire undergraduate careers. Taking its place among residence halls, Greek residences and student cooperatives, in addition to apartments and houses, Bowles Hall aims to provide a personalized, albeit expensive, collegiate experience that some claim is lacking at UC Berkeley. Bowles Hall opened as UC Berkeley’s first residence hall in 1929. It was a residential college, housing students for four years, until the 1970s. Then, in 2005, it began housing freshmen exclusively. 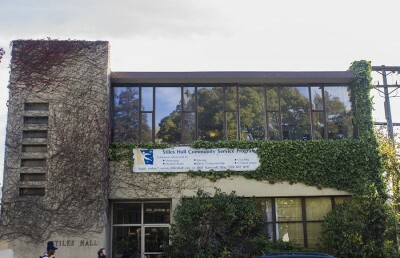 Its all-male status, along with its outdated facilities — the building failed to meet modern earthquake safety guidelines — dropped the hall to the bottom position of many students’ housing preferences. “We realized we couldn’t change the place if the students were living in a dump,” said Bob Sayles, a Bowles Hall alumnus who graduated in 1952 and led the project, at a reopening ceremony Saturday. 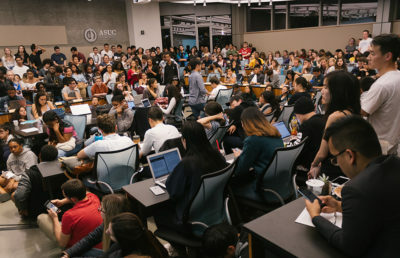 The redevelopment initiative began after Sayles and other former residents were dismayed by the news that the UC Berkeley Haas School of Business was considering taking over the building project. 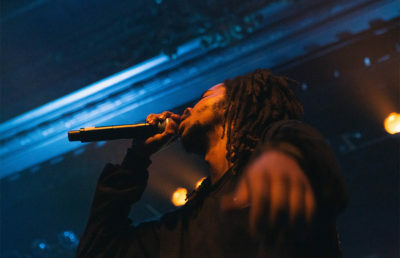 Witnessing the building’s dilapidation, they resolved to refurbish the hall and recreate the distinctive living experience that they say had been lost. The renovated hall offers remodeled rooms — each with an ensuite bathroom — its own library and a new, expansive kitchen, modernizing the aging mansion. The perks, however, make the hall more expensive than many other housing alternatives. A double-occupancy room at Bowles Hall costs $19,304 per year. A full meal plan is included. In comparison, a standard double room in campus-operated housing costs $15,406 per year. The most expensive campus housing option, excluding apartments, is a single room in a suite at Clark Kerr Campus or Foothill, which costs $18,940 per year, according to the campus housing website. 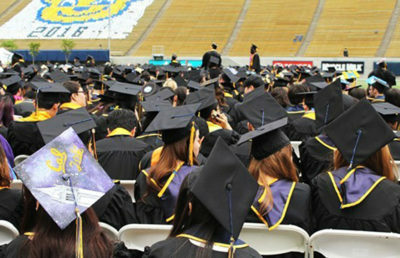 At Saturday’s ceremony, current students and former residents bemoaned UC Berkeley’s sometimes-impersonal nature as a public university with large classes, a diffuse social environment and a campus bureaucracy that can leave students feeling anonymous. 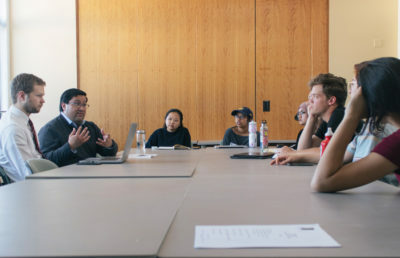 Bowles Hall aims to offer students close relationships with live-in graduate students, faculty and alumni, providing residents more academic and professional support than any campus residence hall in an effort to surpass the campus four-year graduation rate. While the university still owns the grounds of the property, it is no longer operated by UC Berkeley. It will be run by EdR, a private provider of collegiate housing. Although Bowles Hall is considered on-campus housing for financial aid, its application process is separate from that of campus-operated housing. More than 500 students applied to live in the hall, according to Scott Wilson, a BHF board member. 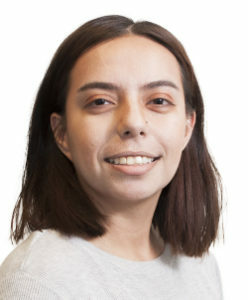 The application asked students to write about their interest in the residential college system and was reviewed without regard to race, income or gender, he said. Because Bowles Hall wasn’t available on the standard campus housing application, many residents found out about the hall by word-of-mouth or targeted social media advertisements. 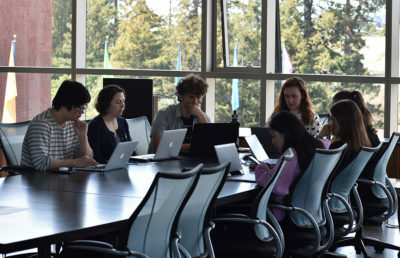 Other current residents of Bowles Hall participated in the Phoenix Program, which selected a group of students to prototype the residential college model at UC Berkeley. Last year, they lived together in the Berk, a private apartment complex. Although the residential college system was born centuries ago at Oxford and Cambridge, Bowles Hall opened about the same time the system was being implemented at Harvard and Yale. The Bowles Hall Foundation website advertises “Ivy League living in Berkeley,” but the system can work equally well at public universities, according to Robert O’Hara, an advocate of the model who consulted on the redevelopment project. 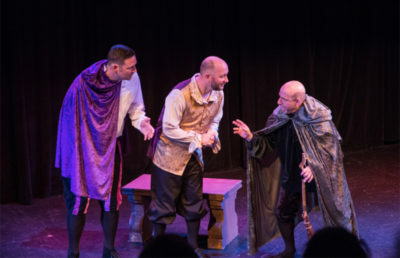 Fundraising for the project, however, was easier than is typical at a public school, according to Chuck Sizemore, the fundraising director for the Bowles Hall Foundation. The group raised $3 million from donors, he said, because of the close-knit alumni network. “This entire establishment is a monument to the power of social capital,” O’Hara said of the alumni’s involvement. 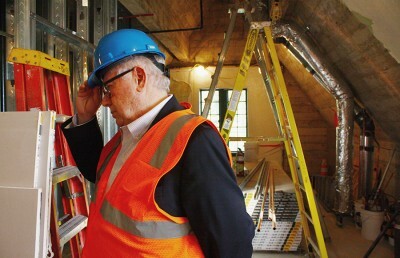 As UC Berkeley looks to private support in a time of diminished state funding, the campus is increasingly pursuing public-private partnerships such as the Bowles Hall effort. Contact Sahil Chinoy and Chloee Weiner at [email protected]. A previous version of this article may have implied that the university owns the Bowles Hall property. In fact, it owns the grounds of the property. A previous version of this article may have implied that the news of Bowles Hall becoming a freshman-only residence directly spurred alumni involvement. 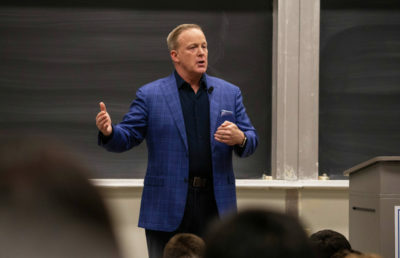 In fact, the efforts began in light of news that the UC Berkeley Haas School of Business would take over the building project. Because of misinformation from the Bowles Hall website, a previous version of this article incorrectly stated the project cost $40 million. In fact, it cost $45 million. Because of misinformation from a source, a previous version of the same article stated that about 490 students applied to live in Bowles Hall. In fact, more than 500 students submitted applications. Because of misinformation from the Bowles Hall website, a previous version of the same article stated that 186 undergraduates live in Bowles Hall. In fact, 183 undergraduates live in Bowles Hall.